I was given the chance to work with Rigoni di Asiago recently. I was so excited about trying different, healthier options to be able to give my kids beyond the high sugar and other things they get from the average sandwiches that they eat. My oldest is a sandwich lover, he switches from peanut butter and honey, to peanut butter and hazelnut, to just the normal peanut butter and jelly. He can eat up to six sandwiches in a day if you let him. They are his go to for meals when he doesn't like what I make, and if he wants a snack. So, even though I did a taste test on all products, I made sure to get his opinion. 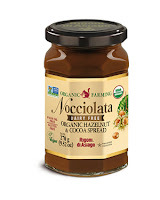 I would like to start out by talking about the Chocolate hazel nut spreads. 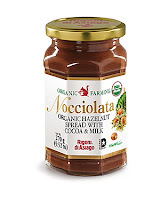 We received two different jars to try, they both were chocolate hazel nut, Nocciolata. One was dairy free which I thought was a great option for those who have a dairy allergy. So I wanted to put them to the test. I had given my son the white jar first and asked what he thought. He loved it. He wanted to stick a spoon in the jar and just eat it right from the jar. We have since moved them high up where the kids can not access them so quickly. I then gave him two sandwiches. One with each type of Nocciolata. He couldn't tell the difference at all. I think this is wonderful, because I know with kids especially it is hard when they want what every one else has. But can not due to allergies. Next, I want to talk about Fiorfifrutta. I love strawberries. They are one of my favorite fruits. I typically don't get strawberry jams and jellys because they hurt your teeth from all the added sugars. 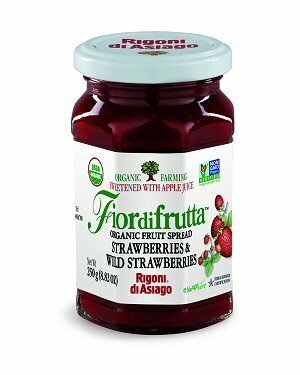 Their Fiordifrutta is sweetened with organic apple juice rather then adding sugar. Which I love! Each jar has over three pounds of selected organic fruits. It taste so good. My son loved this, and I did to. I have been making toast just to have an excuse to eat it. I love honey. I love it so much. I use it in my tea. We eat it on toast, and sandwiches. It is a family favorite. The Mielbio Organic Italian Orange and Creamy Honey was delicious in my tea in the morning. It had a wonderful orange zest and almond accent to it. I was so happy. My son loved this on his morning toast as well. Since it has been the holiday season, we have done some baking for gifts, and for the kids. And with my kids being off school, I had made a bunch of pancakes to help keep them having a decent hot breakfast most days. I was so surprised to see how versatile the Dolcedi' was. My kids had it on their pancakes and thought it was great. I also tried it in a small batch of cookies to see if I could taste the difference, and I could not. 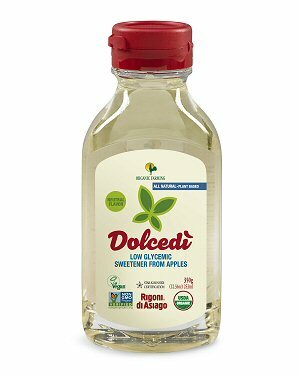 This is made with organic apples, and is so much better for you then traditional sugar. 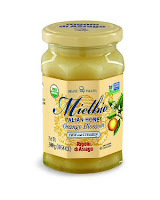 If you would like to find out more about these and other great products from Rigoni di Asiago, please click here. Also, make sure to check them out on their Facebook, Twitter, and Instagram.